You can work better only when you feel better. Feeling active and energetic throughout the day is essential to remain productive and achieve what you desire. 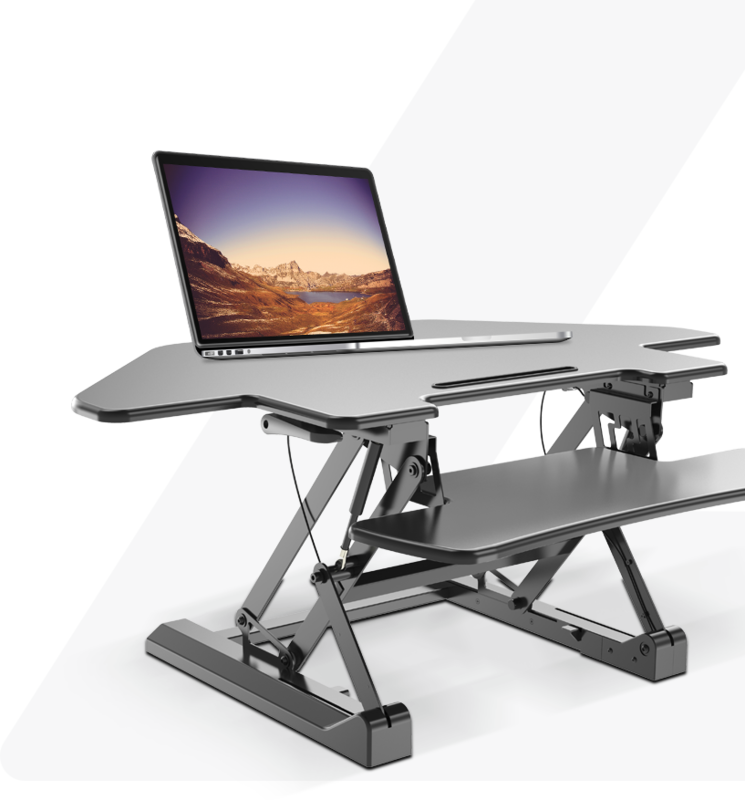 Our height adjustable standing computer desk makes switching between sitting and standing an effortless task. The ergonomic adjustable desk allows to intuitively adept to the flexible process of alternating between sitting and standing that is ideal to make you feel better throughout. You are also able to interact encouragingly with your colleagues, as well as have convenient access to team members and office elements like supply room and more. Any discomfort and stress to your body can lead to a number of ailments. The sedentary lifestyle of sitting around for too long in your office causes body pain, stress and strain, of which back pain is most common. This can be ideally reduced when you keep your body flexible and moving. Ergonomic adjustable height stand up office desk reduces sedentary time, enables you to move more, resulting in improved physical, metabolic and even mental health. Modern, affordable adjustable desktop standing desk brings a much-needed lifestyle change. Great work starts with a great, active and favourable workstation. 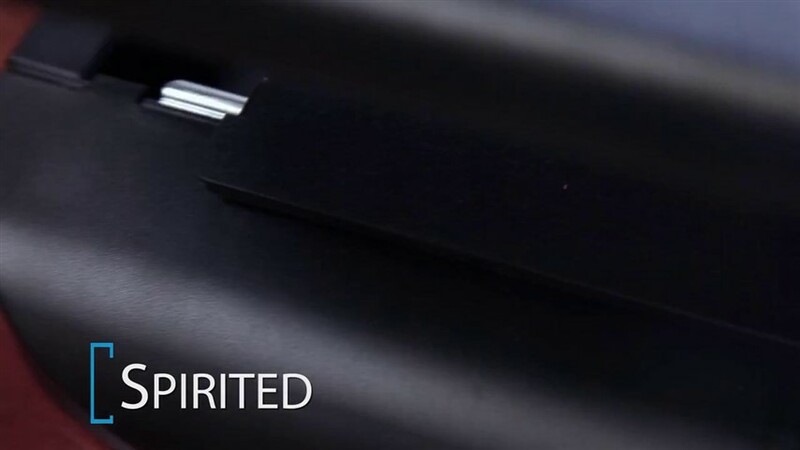 Our finest range of sit to stand desk converters are designed keeping in mind your specific requirements. The raising sit stand desks combine style with functionality, giving the ease of right body posture with increased productivity. We provide customizable options with our versatile range of desktop and laptop desk stands, so you can pick the right height, position and positioning as per your preference and suitability. We have amazing finishes and features that are fit to compliment any office décor effortlessly. The most important aspect of implementing an ergonomic environment is adjustability. Having a desk that is stuck at a particular position and does not provide flexibility to move can make your lifestyle sedentary, giving rise to a number of health issues. Whatever workspace structure you feel comfortable with, we will provide you with the right solution. From completely flat, simple design adjustable stand up desks to uplift desks that include multi-surfaces and shelf space for keeping wide range of accessories and items easily, our solutions are a boon to organisations. If you are looking to get more flexibility with tailored and space-saving solutions, then opt for our desk-mounted height adjustable office desks that can blend in with the existing infrastructure and are more economical. Place it over your existing computer desk and convert the desk into an adjustable sit-stand desk. 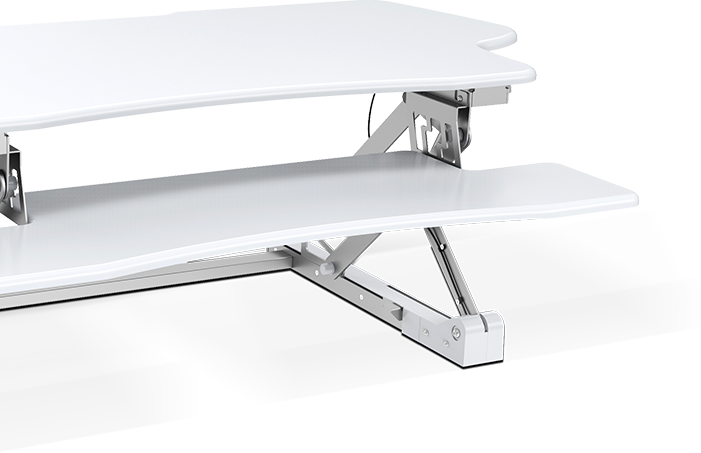 The portability of the desktop and laptop raising desk enables you to move it wherever you want and make your workspace. Alleviating sedentary life is fundamental to keep your body posture right and improve your physical and metabolic health. Creating perfect balance between sitting and standing is a vital lifestyle change. Make your workplace ergonomic and energetic with our quality yet cheap collection of standing desks adjustable. Explore the fantastic range of uplift standing desks for sale available at Zeal Desk online store. This was the best purchase I made! No assembly required, fast shipping and makes a huge difference all around while working. I definitely recommend Zeal Desk to everyone. 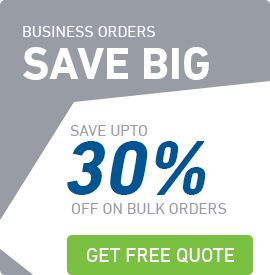 Save more on our exciting range of best quality, cheap adjustable products with free shipping on all standing desks. Zeal Desk ships your products in the prompt, convenient and reliable manner. Experience superior customer service with Zeal Desk.